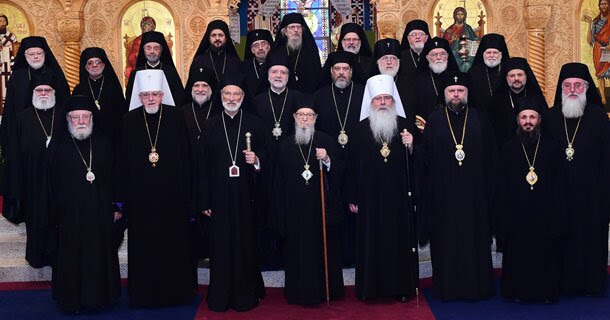 The Assembly of Canonical Orthodox Bishops of the United States of America convened in Cleveland, Ohio today for the second day of its ninth annual meeting. The Hierarchs endorsed the upcoming Orthodox Camping and Youth Worker Conference to be held January 23-26, 2019 at the Antiochian Village. His Eminence Metropolitan Gregory of Nyssa, Secretary of the Assembly, strongly encouraged the participation of youth workers in the conference. In the afternoon session, the Hierarchs discussed an assessment of the Assembly’s accomplishments and challenges over the first nine years and began to identify some specific future objectives and priorities to achieve over the next several years. The Hierarchs reaffirmed their commitment to the mission of the Assembly and their desire to reinvigorate its work.